Website Exclusively for Historic Airbnbs - Tools - We are your AirBnB hosts forum! Hi there everyone! As an historian, I’m obsessed with staying in old places. So much so that I created the website Houselore + Facebook group Our Old Haunted House, which now has a community of 30k+ people. On the Houselore website, we want to exclusively feature Airbnb listings that are set in historic buildings. I will be writing an article about the history of each property, then sharing it on our website and social media channels. I’m basically wondering about market interest in this - for those of you with Airbnb rentals that are set in historic properties, do you feel that history sells? Could Houselore be useful to you? In what way useful @Houselore ? What are you looking for from hosts? The idea is that Airbnb hosts will list their properties on Houselore (we have a recurring monthly listing option for $9.50/month). Each listing gets a write up by our historians about the unique history and features of the property, and promoted on our social media channels. We want to be a central resource for all travelers looking for historic Airbnb accommodation. promoted on our social media channels. You need to correct the Twitter link on your website - it links to an account that has only three followers! Yep we just opened that account - Houselore is the owner of the “Our Old Haunted House” group on Facebook which has 30k members. That’s where the idea was conceived as well! I’d be inc;lined to have a word with your web people, In addition to the non-Twitter thing, the site links to a FB page with only about 500 followers and a Pinterest account with only 26 . That should be corrected before you start any sort of promotion. I actually have what will be the most important vac rental in America because of who lived there (very historic figure). But your opening message is confusing. Historic and haunted are two very different things. And most owners do not seek any kind of “haunted” image, as it is likely to scare off many potential guests. Oh dear, colour me cynical but it just appears to be another start up hoping to make some money from established Airbnb hosts. Hi John! Actually the idea is to help less established Airbnb hosts along with those already established to get more exposure for their unique historic properties by putting them all together in one place as a central resource. There’s no filter for historic properties on Airbnb but a lot of people are looking for that. I appreciate your concern, but as stated earlier we are in early stages of development and research, which is why I am here. You also should be able to see the aforementioned FB group through the Houselore FB page, and see that we are a community of 30k+ there. I am not trying to misrepresent anything. My main goal is to make sure that Airbnb hosts who have historic properties are aware of the platform and to ask for any feedback on it, positive or negative. Money, $114 per year to be precise. John, the money goes towards our writing a 500+ word article on the property and doing any necessary research that comes with it. Payment for premium listings is on a monthly basis at $9.50 which can be canceled at any time if people feel that it doesn’t work for them. We don’t ask for $114 upfront. Like any business, we have to cover costs. We are also donating 5% of yearly revenue to historic preservation societies. I understand cynicism but please ask questions before being rude. please ask questions before being rude. 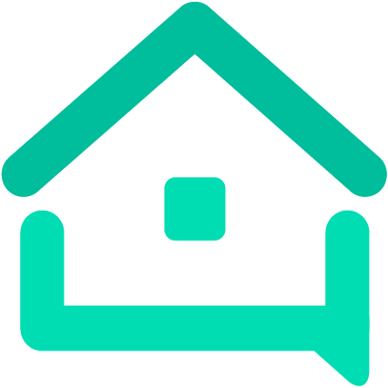 @Houselore - you have just joined this forum to promote your product and we have been lenient enough to let you do so, although advertising in posts is highly discouraged here. However, please be civil to genuine host members. Thanks so much. I understand cynicism but please ask questions before being rude. A statement of fact rude? Get over yourself; as @jaquo says, folks have been quite lenient on you given that you’re simply here to sell yourself, so to speak.